The country's development is bound up with the development of rural areas. There are many types of discrimination and problems in the 71-year-old country and society. There are many contradictions in one time period. Speaker Madhusudana Chari, Speaker of the Telangana Assembly said, "There are cumbres in our country and the poor and the poor. It is not correct to continue such a paradigm. Break off the gaps. MLAs and MLCs have to work hard to eliminate this discrimination. 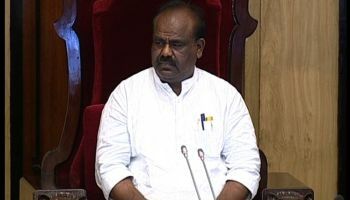 He said the MLAs and MLCs should play a role in changing the nature of the country. In my constituency, the problems of sleeping and village development are being conducted on these issues. There are ten families in my constituency who do not know the external world of the original source. He said that such families, who still do not know what the government is, are still going to develop. By the time of independence 15 per cent of the country was literate. One percent of the population grew by 90 percent over the 70 years. In the 71-year-old country, 100 percent literacy has not been achieved. KCR has demonstrated that something is possible if a man wants to. Chief KCR has been the guide to the country in implementing the welfare schemes. If a leader has Vision, it is possible to create miracles, said KCR. He said the restoration of the mission of the Kakatiya ponds is for the welfare of future generations.